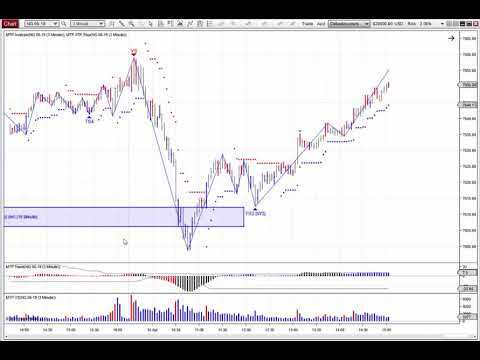 finding trades and helping you control your trading risk. "MTPredictor, it's the best software I have bought- and I have spent a LOT"
Testimonials herein are unsolicited and may not be representative of the experience of other Customers and is not a guarantee of future performance or success. "I've never been so successful before with my trading. I am up 82% in the last 6 weeks !" "Hi Steve I have to say that your website is probably the best (and the most responsible) trading vendor’s website I’ve seen when it comes to the information you put forward. " This is the first software that I have found in over 10 years that has help me control my losses. Now with the software and trainings, I am having large wins and smaller losses. Thank You Steve and John. You are great and you have a great product. I have just about dropped all my old indicators, and I am now just using MTPredictor ... Thanks for a great product. well Steve, the charts have spoken nicely today, so far it is a plus 14R day for me! second highest daily return to date. "...since the new year, I am up 60% on my account." Dear Steve. I would like to really thank you for investing your life in developing this wonderful software. I have been an elliott wave practioner for a decade and MTPREDICTOR in the past one month has really enhanced my ability to trade sucessfully. I have spent 14 hours a day trading across Equity, Commodity & Currency (Indian) markets using MTPREDICTOR and i must confess here that my trading style has seen a transformation. The advanced analysis section is a boon that helps me spot abc correction, count emerging trends and initiate trades with confidence. The real time scanner is another brilliant tool to spot opportunities. I have used other leading softwares for trading but the depth of realtime analysis that can be performed & trading opportunities that MT PRIDICTOR spots leaves competing softwares far behind. I am very satisfied with MTPREDICTOR, THANK YOU. Thanks Steve. Thank you for this massive + 29R today on $/Yen on 3 min chart. This was possible with the market analyzer of Ninja Trader which allows me to follow several currencies at the same time. The set up was a standard TS3... But I chose not to close the trade on first target as the DP support on 15 min chart was not yet touched. When this DP on 15 min chart was reached, we were already on strong STF in 3 min.... So I let the trade follow its way until I was stopped with a 29R profit!!!!! !